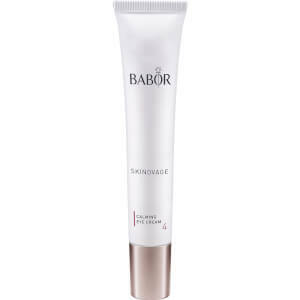 Soothe sensitive skin with BABOR SKINOVAGE Calming Eye Cream, ideal for those prone to redness and irritation. 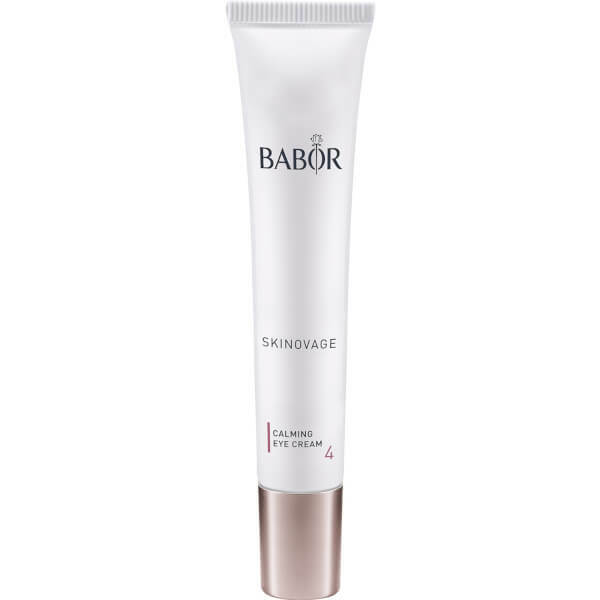 Enriched with a combination of Panthenol, Allantoin and Polysaccharides to restore intense hydration deep below the skin surface, the eye cream provides instant relief from dryness and discomfort whilst balancing the skin tone. Expect calm, refreshed and revitalised eyes. Free from dyes and perfumes. Gently tap into the skin mornings and/or evenings after cleansing. Aqua, Decyl Oleate, Macadamia Integrifolia Seed Oil, Glyceryl Stearate Se, Cetearyl Ethylhexanoate, Sorbitol, Butyrospermum Parkii Butter, Oryza Sativa Bran Oil, Hydrogenated Rice Bran Wax, Tocopheryl Acetate, Phenoxyethanol, Panthenol, Cetearyl Alcohol, Isopropyl Myristate, Carbomer, Ethylhexylglycerin, Allantoin, Sodium Cetearyl Sulfate, Disodium Edta, Biosaccharide Gum-1, Lecithin, Ascorbyl Palmitate, Glyceryl Stearate, Pantolactone, Glyceryl Oleate, Citric Acid.